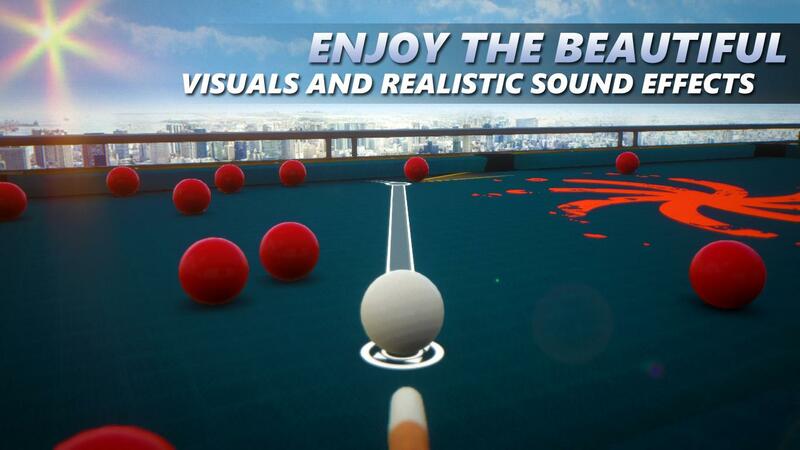 Sky Cue Club is a game from developer Zoltán Gubics that brings Pool and Snooker to Windows and Windows Phone. When I first launched the game I was greeted by somewhat poor looking visuals but a quick dive into settings and upping the graphics settings changed the feel dramatically for me. So be sure that’s the first thing you do when you start the game. Visuals : When you turn up the visuals you will experience some really pleasant visuals. 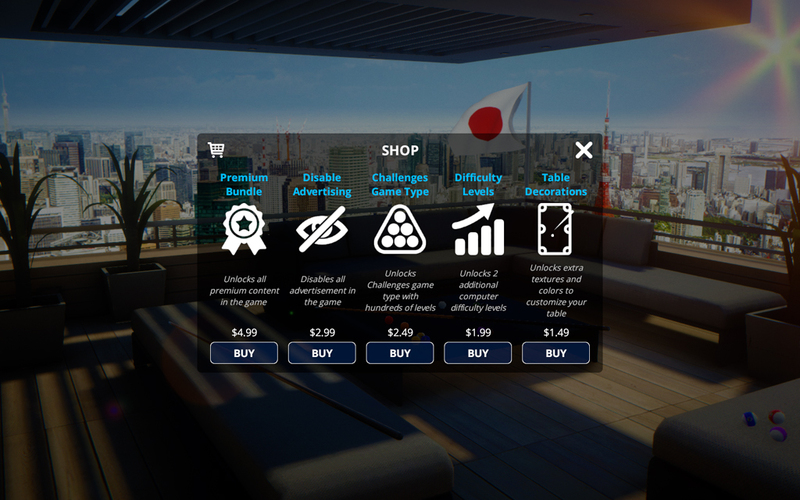 The game is set in a 3D environment and you play on a sunny terrace in Tokyo or a moonlit skyscraper in Hong Kong. 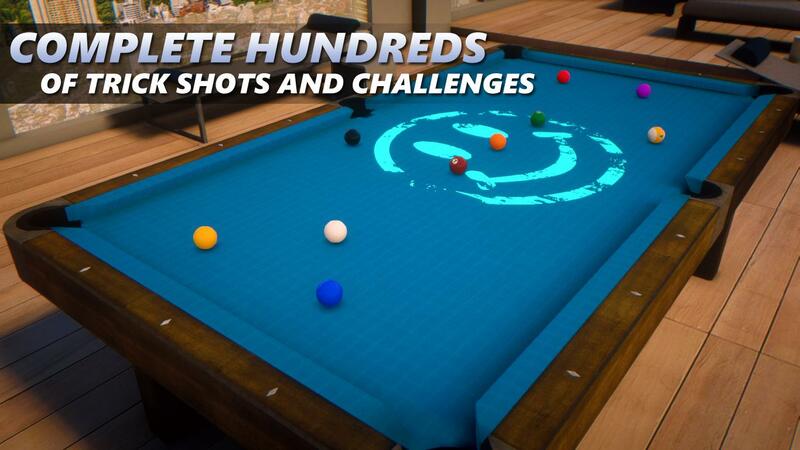 While the settings are limited to these 2 the game features a good number of options to customize the table itself with over 50 options to choose for the table’s texture and the decal placed on it. 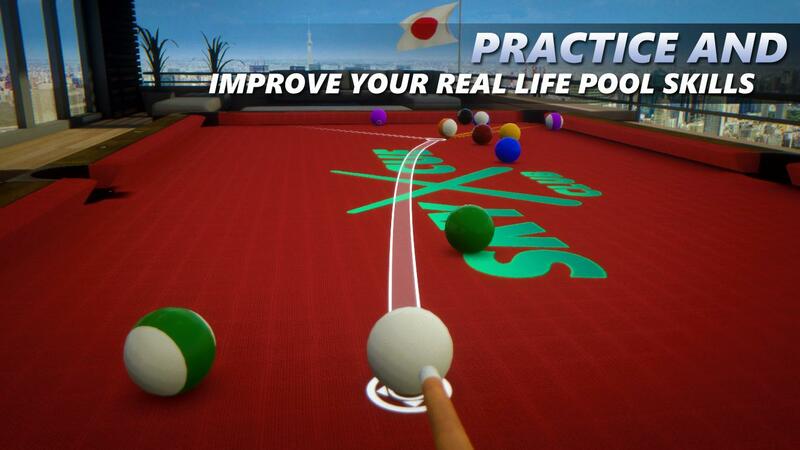 Gameplay: While the developer claims that Sky Cue Club is the most advanced 3D Pool simulator with lifelike ball physics, I can’t attest to the accuracy of the physics, not having played much pool in real life. The game is undeniably fun though. When you have your shot lined up the way you desire and you unleash your shot it does seems to feel the balls move around like you would expect them to in real life. I also enjoyed the way the camera moves around dynamically from shot to shot and the point of of view set when it’s your turn to take the shot. 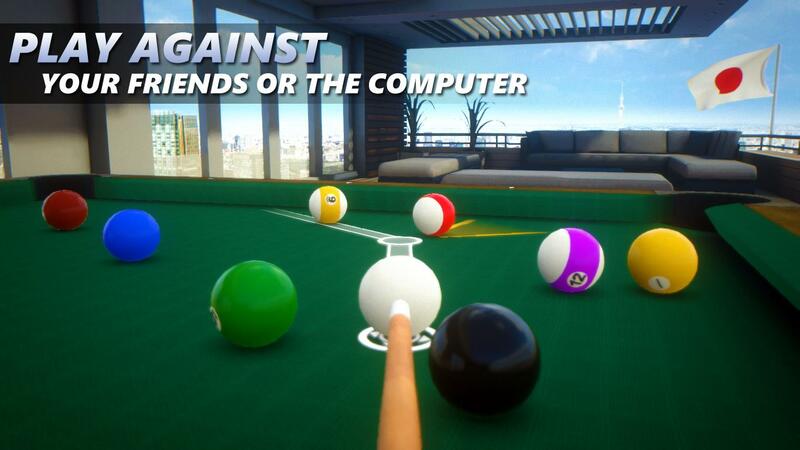 You can also choose to stand up and take a view around the entire table before you take the shot. Controls: Where the game seems to falter slightly for me is in the controls for aiming. I tried the game on both a PC with a mouse and keyboard as well as on a mobile. 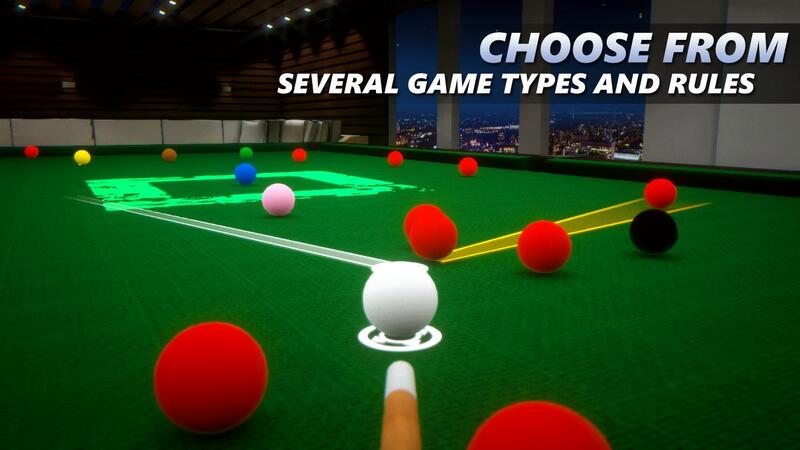 Both offer the same possibilities to aim the stick at the angle you choose, set the force to hit the ball with and the ability to put a spin on the ball. While the spin and force controls work fine the way the angle setting is calibrated makes it difficult to quickly stop at the precise location you desire. I’m sure it’s something that developer can fix easily. On the Windows version the inclusion of WASD keys to set the precise angle makes the game much more enjoyable. Speed Pot: Pot all balls before you run out of time. 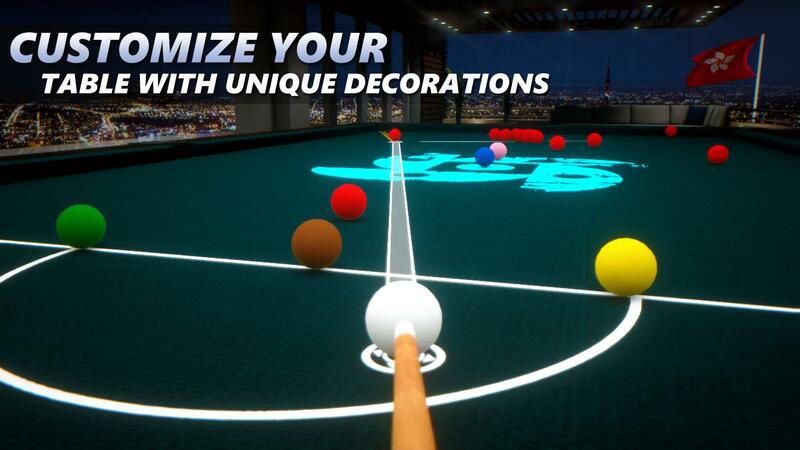 You gain time if you pot the colored balls or lose time if you pot the cue ball. Pass & Play: Play against your friends on a single device. It has the same modes as above. Free to Play Content: While the basic game is free to play with ads and limited customization options there are several in apps on offer.